While WordPress is, by far, the world’s most popular content management system, that doesn’t mean it’s the only way to make a website. In recent years, we’ve seen the rise of beginner-friendly website builders like Squarespace and Wix. In this post, we’ll compare the former, Squarespace, to WordPress, the content management system powering 33% of the world’s websites. 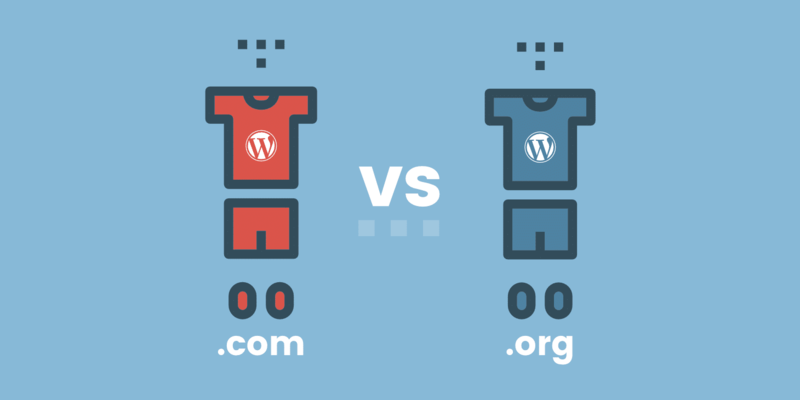 We’ll give you a detailed look at Squarespace vs WordPress and show you how the two stack up. By the end, you should have all the knowledge that you need to choose the platform that’s right for your site. 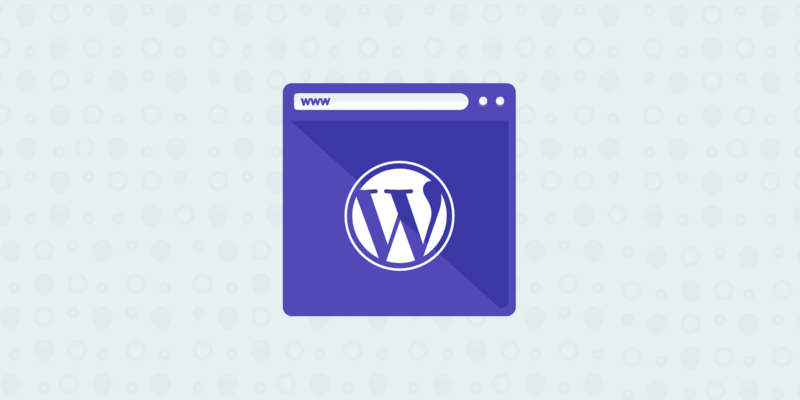 While WordPress is still easy to use in comparison to many other content management systems, it sacrifices some beginner-friendliness in order to give you a significantly higher degree of control over how your website looks and functions. On the other hand, Squarespace tries to make things as easy and simple as possible…but at the expense of flexibility. There are other philosophical differences – like the difference between open source (WordPress) and closed source (Squarespace). But for most casual users, the dynamic between ease of use and flexibility is the most important. Below, we’ll dig into some specific instances of how this difference plays out. How Easy Is It To Build a Website on Each Platform? If you’re looking for the absolute simplest way to build a basic website – Squarespace wins. Squarespace might not be as flexible (more on that later! ), but no one can deny it makes creating a basic website as painless as possible. With that being said, WordPress still makes it easy to build a website. It’s just not as easy as Squarespace. The whole process can literally take a minute. Unlike Squarespace, you’ll need to sign up for your own web hosting and purchase a domain to start using WordPress. Then, once you have hosting, you’ll need to install the actual WordPress software before you can continue. While this sounds intimidating, most hosts nowadays let you install WordPress with a single click. Some, like Kinsta, even come with pre-installed WordPress. So while there is an added step here – it’s something that beginners can certainly handle, and it really only extends the creation process by 5-10 minutes. Once you install WordPress, you have a basic working website. 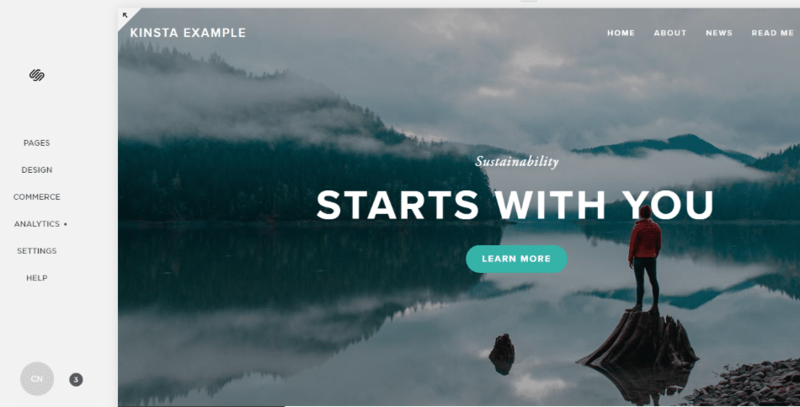 Like Squarespace, you can change how your site looks by installing a WordPress theme (roughly equivalent to Squarespace’s templates). 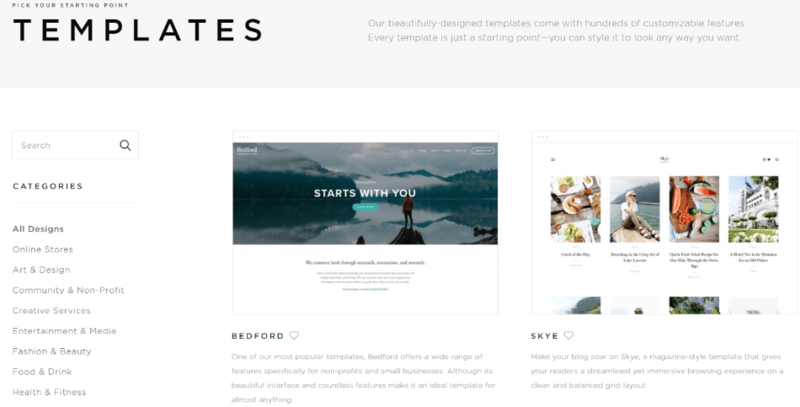 Depending on where you source your theme from, this process can be a tiny bit more involved than choosing a Squarespace template. But again, most beginners will have no problem with it. Check out these 7 popular WooCommerce themes to get you up and running. How Much Control Do You Have Over Your Website’s Functionality? Thanks to its massive library of third-party plugins and themes, WordPress is the clear winner when it comes to depth of control and functionality. WordPress has tens of thousands of plugins that add functionality, whereas, with Squarespace, you’re pretty much limited to the small set of integrations that Squarespace supports. But, with that being said, you still don’t have anywhere near the control of WordPress. That’s because Squarespace is lacking one key ingredient – third-party plugins. When it comes to making changes to your website, WordPress has everything Squarespace has…plus a bundle more. See, WordPress has tens of thousands of plugins that you can add to your site to enhance its functionality. Want to add social share buttons? Install a plugin. Need help managing advertisements? Easy – install a plugin. Because of how massive the WordPress community is, you can find a plugin for pretty much everything…which means you can add pretty much any piece of functionality to your site. Again – the tradeoff for that added flexibility is that things aren’t quite as beginner-friendly. Instead of having everything already there in a single interface, you’ll need to hunt down plugins for many of the features you’ll likely want. But for most people, that tradeoff is absolutely worth it for the huge gain in functionality and flexibility. How Does Each Platform Handle eCommerce? While eCommerce might not be a consideration for everyone, if you are planning to sell products via your website, you’ll have much more flexibility if you go with WordPress. Squarespace does support eCommerce. But it’s fairly limited in comparison to WordPress. In addition to general eCommerce functions, one high-point of Squarespace is that it includes built-in cart recovery emails. That’s something that you can certainly get with your WordPress eCommerce store – but it requires a third-party plugin. In comparison to WordPress’ payment gateways, that’s a tiny list. Second, you again miss out on WordPress’ huge plugin ecosystem. There are tons of eCommerce-focused plugins, so you’re losing a ton of functionality here. And finally, there’s a huge downside in that, unless you upgrade to the more expensive eCommerce plans (starting at $30 per month), Squarespace charges a 2-3% transaction fee on top of credit card processing fees. So if you want to run an eCommerce store on Squarespace and avoid transaction fees, you’re looking at $312 per year minimum. 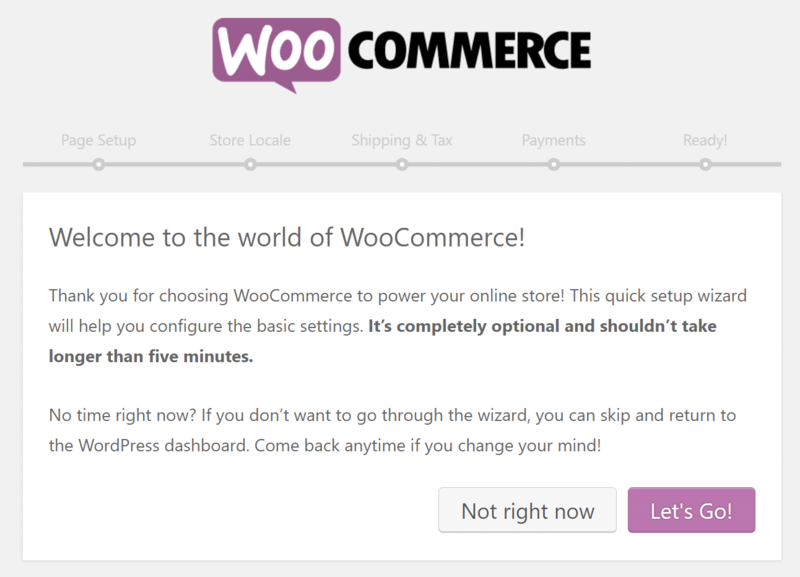 WooCommerce – for physical products (though you can also use it to sell virtual products). Easy Digital Downloads – focused on helping you sell digital products. Beyond those basic eCommerce plugins, you can add tons of additional plugins to add functionality to your store. And you’ll never pay any transaction fees (beyond what your payment processor charges). Additionally, you can even find plugins to create more advanced functionality like an affiliate network for your store. Who Controls Your Data On Each Platform? By “controls”, we essentially mean – how easily can you move your content if you ever want to move to a new platform? If you’re concerned about data ownership and exportability (which you should be), WordPress is the clear winner because it’s open source and you’re always in control of your website. Text from other blocks like the Embed Block, Twitter Block, and Instagram Block will export with minimum structure. Additionally, you can never, say, download a complete copy of your database or server files. That’s important because it means you never really “own” your entire website. With WordPress, you have 100% ownership of all your files and data. Beyond WordPress’ built-in tools to help you export your data in a format that works with other popular content management systems, you can also always download a complete copy of your database and files. It’s all yours and no one else has access to it. How Does Each Platform Handle Ongoing Maintenance? Because Squarespace is a closed ecosystem, you essentially never need to worry about maintenance. On the other hand, because WordPress is an open ecosystem, you need to take a more active approach to maintaining your site. With Squarespace, you don’t need to worry about nitty-gritty details like updates or maintenance. Squarespace handles all of that for you, which makes it quite simple. With that being said, Squarespace leaves you high and dry when it comes to some essential maintenance functionality like backups. It doesn’t seem to offer any way to back up your entire site, which is a fairly massive oversight. This may seem daunting – but most of it is pretty simple and can be automated with plugins. For example, you can find plugins that take care of security for you. Additionally, if you choose a managed WordPress host, your host will take care of many of those details for you. Or, you can always hire a WordPress maintenance service. How Much Does Each Platform Cost? 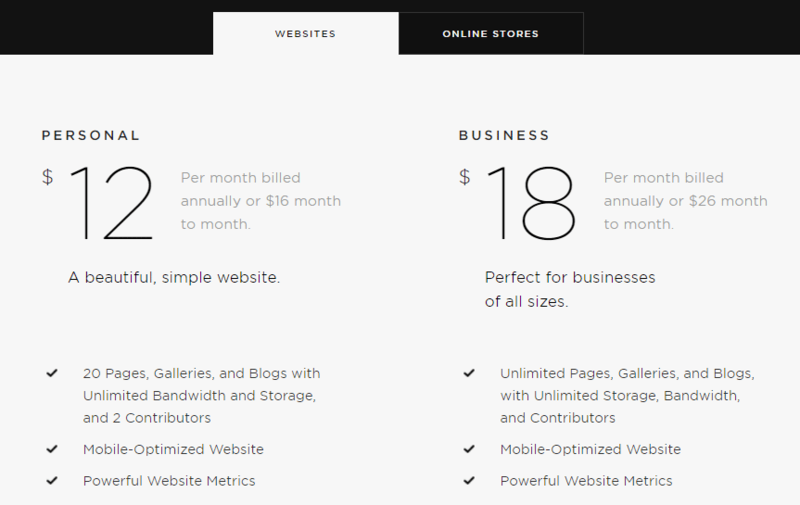 Squarespace’s pricing is simpler, but that doesn’t mean it’s cheaper. Unfortunately, we can’t give one single declaration about which is cheaper – the actual answer depends on which Squarespace plan you choose and the decisions you make about your WordPress site. Keep in mind that the cheapest Squarespace plan limits you to 20 pages and charges extra transaction fees if you want to create an eCommerce store. If you’re willing to go with cheap shared hosting, that might only cost you something like ~$50 per year. On the other hand, performance-oriented managed WordPress hosting can run into the hundreds per month. Beyond that, you may want to spend extra money for premium third-party themes and plugins. You don’t need to. 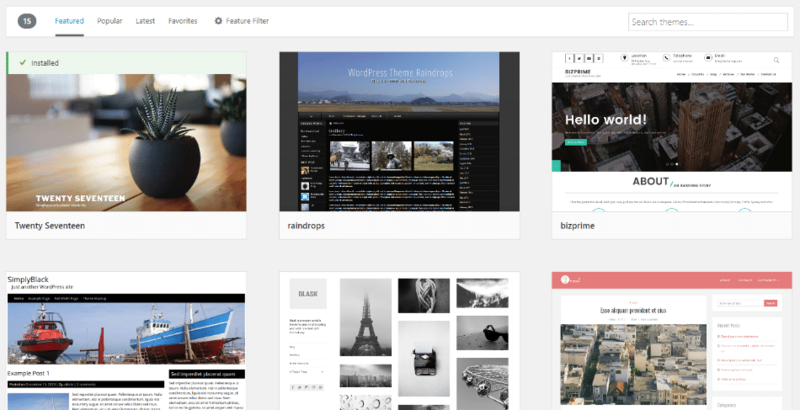 But premium themes and plugins often offer better functionality. If you’re currently using Squarespace and are looking for an easy way to migrate to WordPress, here are a couple solutions we recommend checking out. 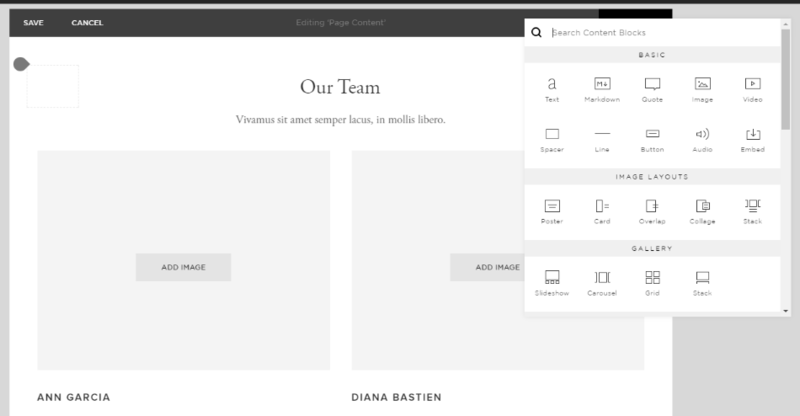 Squarespace provides a way to export your content from their platform. Check out how to export your Squarespace site. CMS2CMS provides a premium migration solution to transfer all of your data from Squarespace to WordPress. Squarespace vs WordPress: Which One Should You Choose? If you just want to create a simple website as easily as possible and don’t care about flexibility or content ownership, Squarespace is a solid option. That’s what it’s good for. But the vast majority of webmasters would be better suited using WordPress. 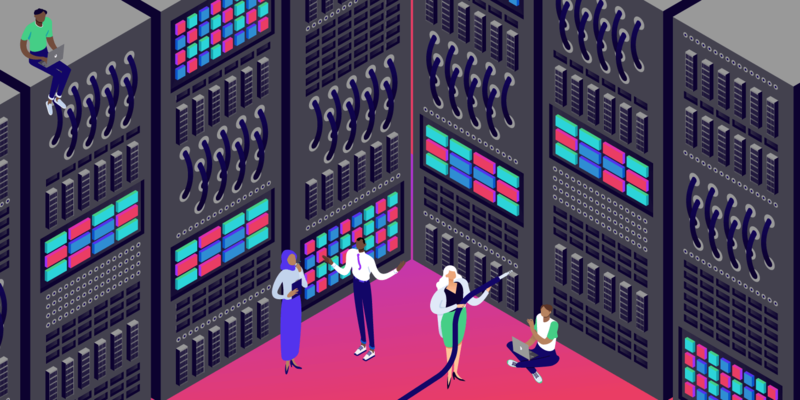 Yes, the openness of WordPress necessitates a slightly higher learning curve, as well as heightened focus on security, performance, and maintenance. And you might even save money, too! What do you think? 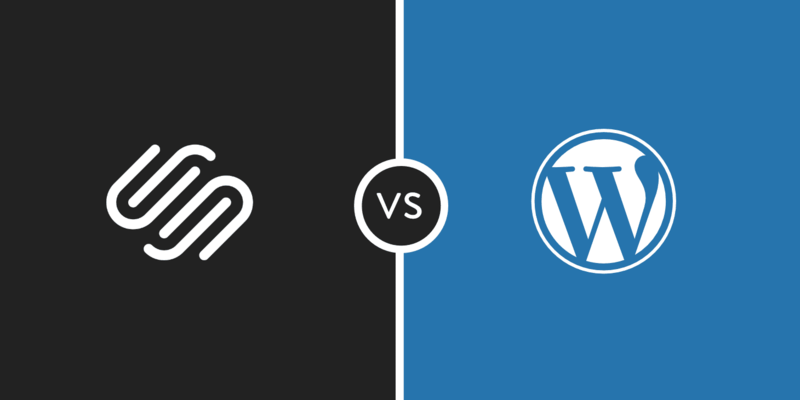 Who do you think is better when it comes to comparing Squarespace vs WordPress? Let us know below in the comments. Squarespace is a registered trademark of Squarespace. Well said & your timing is unreal! I just found out the company I was referencing paid $55K for a Squarespace template. That had barely been customized to their colors and not much else is different than the template. (A branding company) don’t get me wrong there are plenty of dev’s that deserve way more than $55K for a well-built website but when you’re talking about over $20,000 you should have a true custom website with capabilities that meet your company’s needs or at the very least are moving in that direction in this case after speaking to the owner we discovered Squarespace will never be able to accomplish what they want to do. It was really hard to do to tell them that Squarespace is unfortunately not able to meet their needs. So on to a new WordPress site. Awesome, yes send them our way :) We appreciate it. At SkyrocketWP, we handle WordPress maintenance for agencies and individual businesses, but we’re also glad to answer maintenance-related questions, so feel free to get in touch (https://skyrocketwp.com) or comment here if we can help. Kinsta to the rescue! Very nice and fair compare. It gives good insight to both worlds. Squarespace is definitely good staring point for own webpage. When you need more control, own domain with CMS(WordPress) is next best step, and in the end might be cheaper! thank you so much for this! you answered our questions and it was easy to keep on plugging with WPress, especially when we ready about data ownership, etc.